Discussion in 'Portable Headphones, Earphones and In-Ear Monitors' started by Arysyn, Jul 30, 2017. Introducing FLARES® PRO. The new wireless earphones that produce sound quality so high every recording feels live. "Music is constantly evolving. For over 50 years, the way we record, store and access that music has changed as much as the artists and songs themselves. But today's approach to speaker technology is as old as Louis Armstrong's 'What A Wonderful World'. spinrite and barondla like this. It was something on my mind for a bit, but when the idea was mentioned earlier in the other thread, I figured perhaps this was a good thing to do. I also created a thread for the Grado GR8e and the GR10e I couldn't find another of, but since those are older, I doubt there will be much interest in that thread. The one thing I'd really like to do one day once I've had the opportunity to hear a Planar Magnetic and Electrostatic driver iem, is to compare them with the Moving Armatures the Grado iems have, along with Balanced Armature and Dynamic driver iems, by doing a comprehensive sound evaluation among all of the driver types. Regarding the comments regarding the Flares/Cardas, I will post the measurements I made of both as soon as I can get the pix loaded to my computer. That may be a tough comparision to do with IEMs. Does anyone besides Stax and Shure make electrostatic IEMs? Those are pricey. Are there currently any other planar IEMs besides Audeze? Even though Audeze claims to be the first Planar IEM, it isn't true. Yamaha made some in late 70's or early 80's. They called their planars Orthodynamic. I have 2 pair of ba hybrid IEMs. Wonder if the whole ba trail the industry has taken the last few years is a mistake? Below are my measurements of both Cardas EM8513 and Flares Pro. These are not absolute values but they were both measured using the same tips and same coupler. As one can see, they are quite similar except for the greater Cardas roll-off of highs. Arysyn and barondla like this. @HiFlight great info! Thanks for the measurements. Wow! The Cardas really rolls off. The Flares are better. Looks like they are dropping like a rock after about 12k. Hmmm. 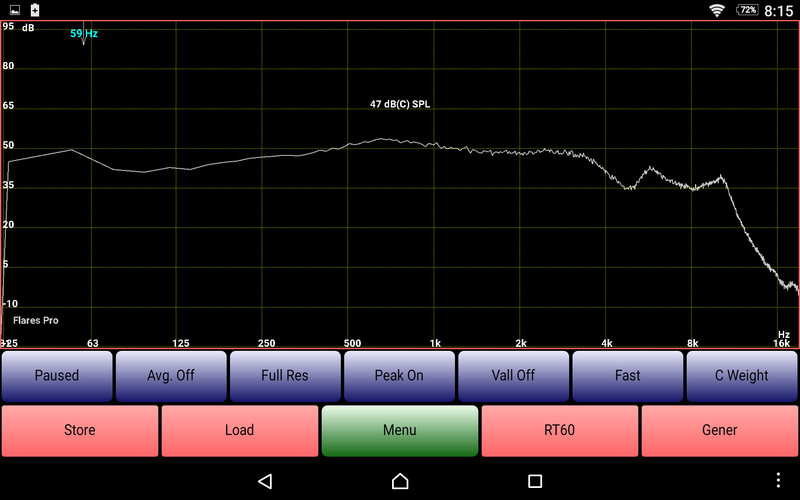 I don't think the measurement sweep is really very accurate beyond about 8K. I look at my measurements as relative values valuable only for comparisons as I am not using lab-grade equipment. I hope those fr responses don't come back to bite the thread! Maybe a big disclaimer is needed. "Look at that roll-off and you say they've great extension? Your reputation is shot .. " etc etc. AxelCloris, barondla, Arysyn and 1 other person like this. I think it might be welcome for people to cut and paste their initial thoughts on the Flares Pro's sound from the other thread if this one becomes the place for impressions. All I can say is that they're better than the R2Pros , especially in detail retreaval, sub bass (!) and for me also, three-dimensionality. Still with that signature naturalness too that I found in the R2s. barondla and Arysyn like this. You are right. As I said, these are for relative comparisons only. Most portable measurement rigs are inaccurate beyond 6-8 KHz unless calibrated to a known standard, which mine are not. Just received my pair of Flares Pro and first impressions are very positive after 1 hour of listening and this is just with silicones, wired from Fiio X5ii. Really excited to put these through their paces and test out Bluetooth too. Might come back with some sound impressions later, however I'm not too great at articulating sound. What I can say for now is the comfort is on a really high level even with a deeper insertion than usual, just feeling like they aren't even there. Bluetooth module is cute and small but feels strong. I can see a lot of people on the go getting great value out of using it. majo123 and Arysyn like this. Wow! Other than that bit of bloom in the subbass, which may or may not make a negative impact upon my listening, the rest of the bass looks more neutral than the RE800, and the vocal range appears slightly forward above the bass, which ought to be excellent, so long as the subbass isn't going to interfere with the rest of the music. I use the Meridian Explorer2, which seems to reduce bass a bit, while moving the vocals slightly forward, and also increases the treble. Combined with the FlaresPro, I'm potentially looking at a situation very close to my ideal sound signature, perhaps with just a tiny less forward vocal and treble region, but still closer to my ideal sound signature than what the RE800 produces. 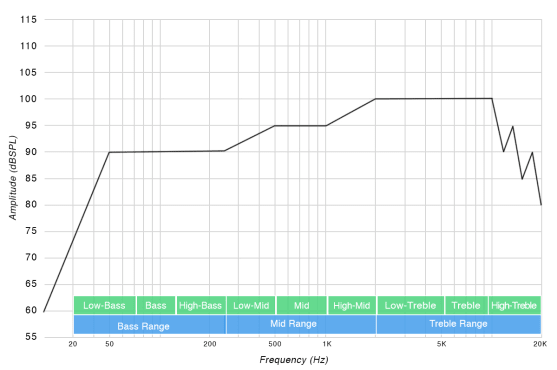 In case those of you haven't seen my sound signature audio frequency response graph yet, I'll post it again here for reference. I welcome any opinions about it, especially views on how close the FlaresPro might be based on my descriptions using the Meridian Explorer2. @Arysyn your graph is what you want or what the Re800 measure?